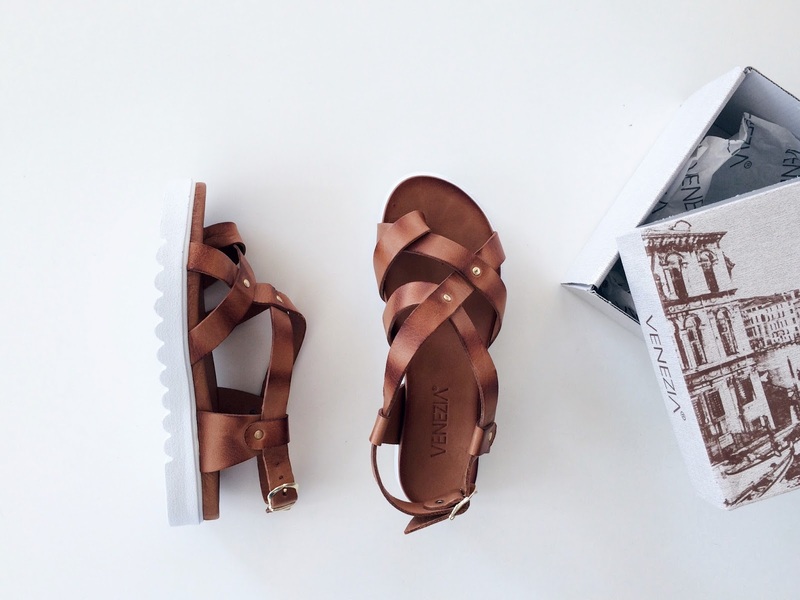 Summer sandals. They never go out of style. We all know that our plastic flip-flops aren't always the answer during summer. But hey, sandals are! They're still as comfy and breathable as your plastic footwear, but way more stylish and chic! In other words: a real summer essential!However, finding a pair of cute sandals is easier said than done. It’s like looking for a needle in a haystack. There are so many different types of sandals - and apart from finding one that is really to your liking, it's very important that the shoes fit the shape of your feet perfectly. For example: avoid at all times the too-narrow-sandals-for-too-wide-feet look. I’m serious, you don’t want that. So that's the reason why I found myself only a few weeks ago - quite unexpectedly - the perfect summer sandals. I was just looking on Pinterest - doing nothing special, probably bored - when I saw them passing by. My heart skipped a beat. The sandals looked like they were literally made for me. The leather straps in the perfect color, the white platforms that makes me look a bit taller and the golden details which don't curse my jewelry. I found out that the sandals were from the Polish shoe brand Venezia. Never had I thought that I would find the perfect sandals all the way in Poland, but good things come from unexpected places. When I ordered them, I wasn't exactly sure about my size. I decided eventually that I'd take a size smaller than I usually do. They arrived shortly afterwards and - hell yes - they fitted!